A variety of technological options are available for climate-neutral road traffic. 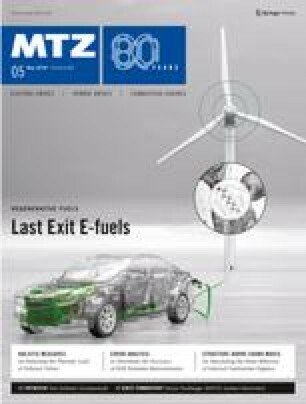 In a study, the Research Association for Internal Combustion Engines investigated the costs for several combinations of energy sources and powertrain systems on the basis of well-founded technical analyses. The results of the study show that synthetic e-fuels can be competitive, irrespective of their less favorable efficiencies across the entire energy chain. The Research Association for Internal Combustion Engines would like to thank the more than 50 experts from the cross-industry innovation network of the FVV who advised the authors of the study and made their specialist knowledge available. Our special thanks go to Felix Ortloff (DVGW Research Center at the Engler-Bunte-Institut of the Karlsruhe Institute of Technology) and Stephan Stollenwerk (innogy) for their outstanding commitment.